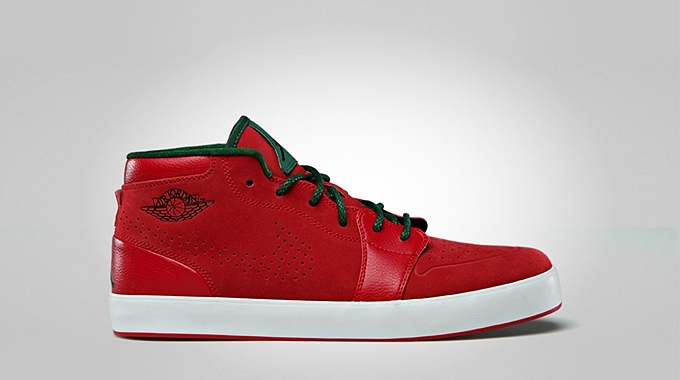 As expected, we have been seeing several Holiday Season-inspired kicks from Jordan Brand like the new edition of the AJ V.1 Chukka. This newly-introduced model is slated for release this month in Christmas-themed colorway, which makes it being tagged as the “Christmas” edition of the kick. This lifestyle kick will be hitting the market in Gym Red/Black – Gorge Green – White anytime this month. The upper part is dominated by gym-red colored leather enhanced with Gorge Green linings with black branding and white midsole. If you are looking to enhance your Holiday Season attire, then this one is a must-buy for you!